St James Avenue, Farnham, GU9 9QF. Foley Place is a collection of contemporary homes that offer versatile living spaces for modern lifestyles. Shanly Homes prides itself on it's attention to detail and has built a strong reputation for creating luxurious and functional spaces. Each individual home at Foley Place has been specifically designed to provide the most comfortable living for a variety of modern lifestyles. 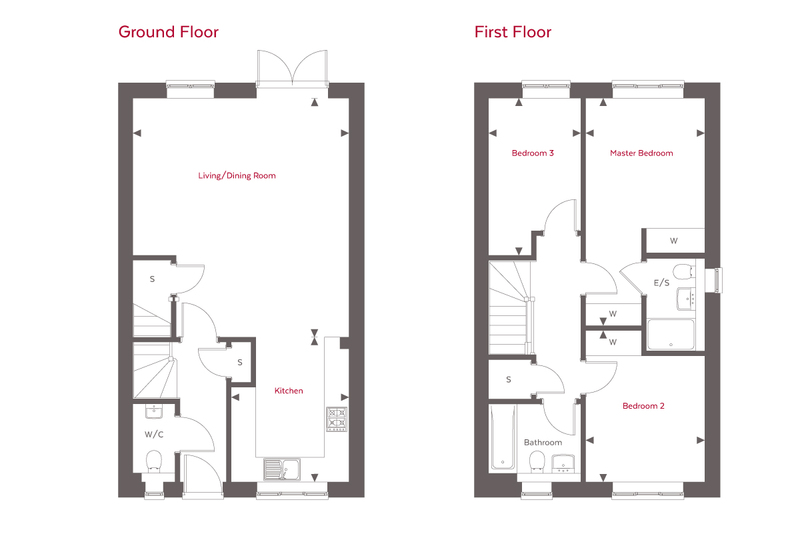 A rear courtyard offers allocated off-road parking, contemporary kitchen feature the very latest appliances and master bedrooms all benefit from en-suites boasting stylish white sanitaryware. Clever interior design also maximises light to offer bright, airy and spacious accommodation that possess the flexibility to be used in a variety of different ways. Whether it is the pitter-patter of tiny feet, the clink of wine glasses over dinner with friends or the sound of a page turning in your favourite book, these home can offer you the ideal venue for living the lifestyle you love.